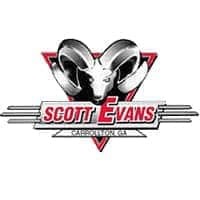 Scott Evans Chrysler Dodge Jeep Ram features the latest manufacturer offers and incentives on all new Chrysler, Dodge, Jeep, and RAM vehicles. Discover which offers are best for you and drive off in a new car today. Scott Evans Chrysler Dodge Jeep Ram in Carrollton has the new or used car you have been searching for at a price you can afford. What sets our Scott Evans car dealership in Carrollton, GA apart? Superb customer care, competitive prices, and the most diverse inventory of new cars, trucks, and SUVs! Not to mention, an experienced team of sales, service and financing experts make us a better option than turning to car dealerships in Paulding County. Come down to the Scott Evans Chrysler Dodge Jeep Ram dealership today and take a test drive in your dream vehicle. We are located a short drive from Atlanta, Douglasville, Newnan, Villa Rica and you can easily find us by following our Dealership: Directions. In addition, we offer work truck incentives that competing car dealerships in Bremen, GA can’t match! Four months ago I purchased a 2019 Laramie Ram 1500 at this dealership. Today, I visited the service department for my first time to complete a service recall issued on my truck. The service advisor, Ryan Cleghorn, and service tech, Justin Ownby, were very thorough and professional. I was in and out in under 40 minutes! As I walked out, I asked Justin a few questions unrelated to his department regarding my truck and he went out of his way to research. Within a couple of hours he called me back with my answers and ended the call with "any questions you may have, please dont hesitate to call me" ... WOW.... Awesome customer service!!!! Will definitely be back on a regular basis. Thank you!!! A very pleasant car shopping experience with a dealership that still understands that it is more important to get it right than being right. I was treated with nothing short of true courtesy and respect as a potential customer. I was reminded of the days of old when a customer experience was the only priority.